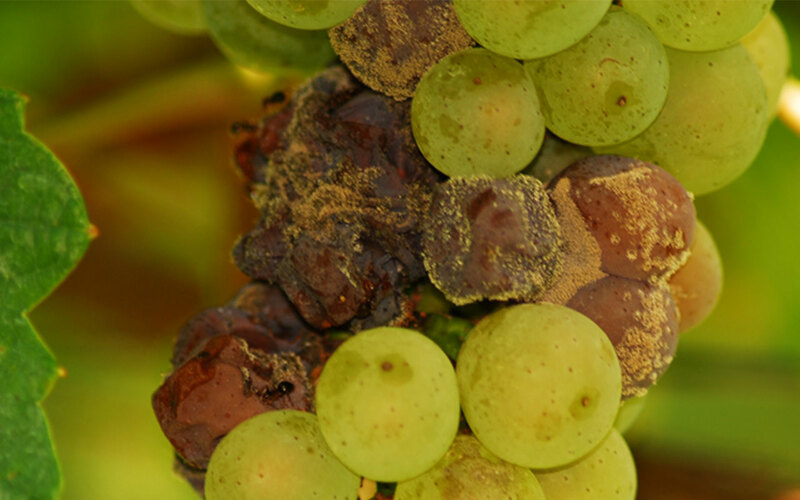 The basis for a successful Ruster Ausbruch is the natural noble rot „Botrytis Cinerea“ that infects the berries. 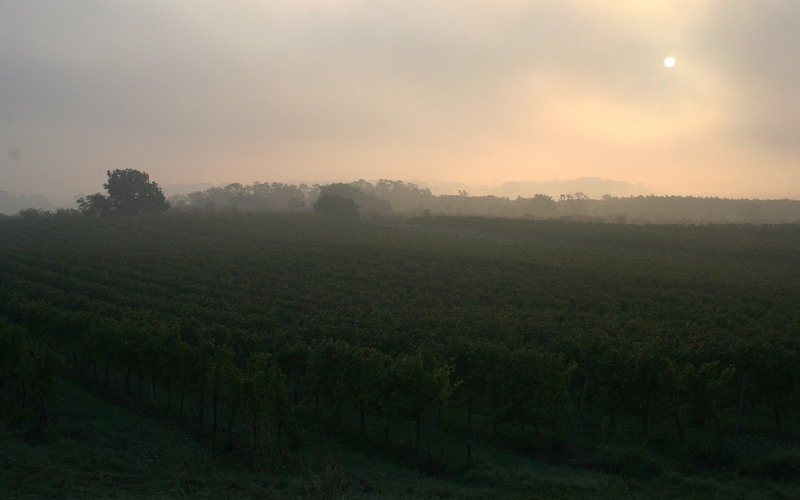 This takes place at different times in the fall depending on the weather conditions (rainy and foggy periods) in the vineyard. It is important that the ripened grape is fully developed before it gets infected by the noble rot. Only then, the desired aromas and tastes will be perfectly concentrated in the dehydrating berries. This process only works in 4 regions worldwide (Sauternes, Tokaj, Mosel/ Germany and Neusiedler See/ Rust). Due to the long and dry summers in Rust, also late ripening varieties like Welschriesling and Furmint may be used for the production of sweet wines. In this decade, we have managed to be successful in producing a Ruster Ausbruch twice. In 2013 it was a small quantity, but almost 100 % of the grapes got infected. The result is a very rare Ausbruch with a must weight of 40+°KMW and unlimited ripening potential. The skin is minimally perforated by the Botrytis so that water molecules evaporate through the grape skin and the ingredients in the berries concentrate. When harvesting, only those berries of a grape are chosen, where the noble rot has ideally infected the fruit. This requires a lot of experienced people. The grapes are infected by various funguses that have to be carefully sorted out. Every single grape needs to be checked. Sometimes only a few berries of one grape are used – this is how a pure Botrytis harvest is formed. The majority of the fruits is not part of this selection and remains on the ground of the vineyard. 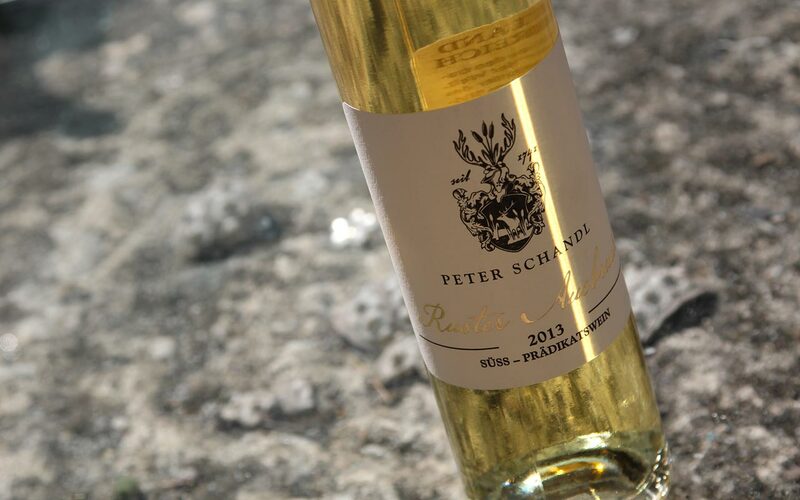 At the moment we offer 2 vintages of Ruster Ausbruch at the winery Peter Schandl: We have kept the exquisite amber Ruster Ausbruch of 2001 for 10 years; it is available in 0,25 l bottles and the excellent vintage from 2015 is available in 0,375 l bottles.